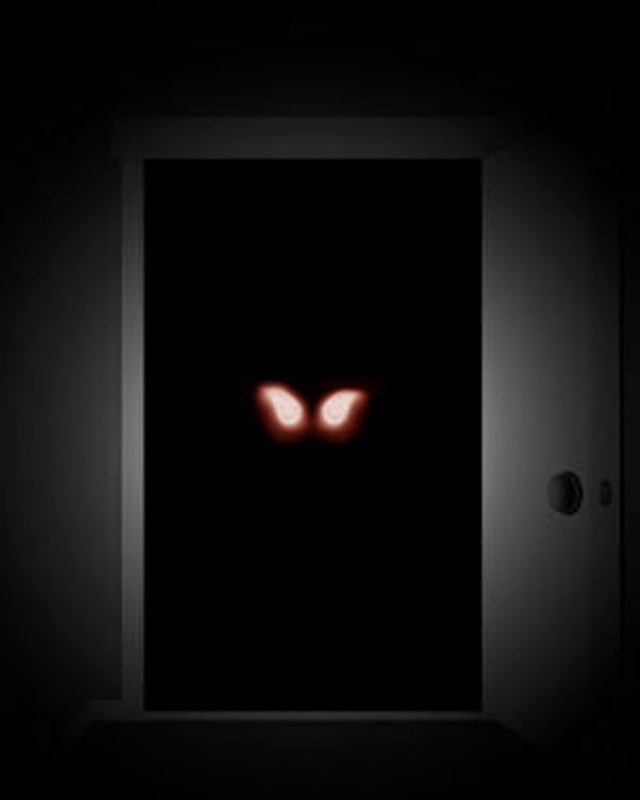 Paranormal Portals -Is there one in your house? Last week I wrote a blog about mirrors and the possible psychic phenomena associated with them. Apart from mirrors, portals are thought to exist in areas of entry/exit within the physical realm. For example, places such as doorways, windows and even cupboards/wardrobes are potentially portal areas. What exactly are Spirit Portals? Spirit portals are not a new concept and have been around for centuries. At their most basic level, they are thought to be a form of entrance and exit point for spiritual energy and other dimensions. While visiting the Navajo Nation on an anthropology tour with the Smithsonian Institute in the 1970's, I along with the others were fascinated when an elder of the tribe told us of their creation story/belief: that they came out of the Grand Canyon from a portal lead by divine beings who then showed them how to live on this earthly plane. Recently this has been confirmed as something of a historic possibility. Recently on the TV show, "America Unearthed" it was reported that ancient caves had been discovered by an amateur explorer in the late 1920's holding a vast treasure, usual artifacts and even an Egyptian type pyramid. These caves were later excavated by the Smithsonian Institute (it was reported in the local newspapers a the time) but now that institute will not acknowledge any existence of this discovery and the objects they have stored. These caves are impossible to reach as they are in a remote and dangerous part of the canyon and the air space above that area is restricted by the U.S. government. So if there are pyramids, secret caves and even a portal to extra dimensions, it will be impossible at this time to further investigate. But talk to the elder of the Navajo nation and he will confirm that all this is true. People who have allegedly seen a portal describe them as being similar to a whirl-wind or alternatively, an elongated swirling shape. 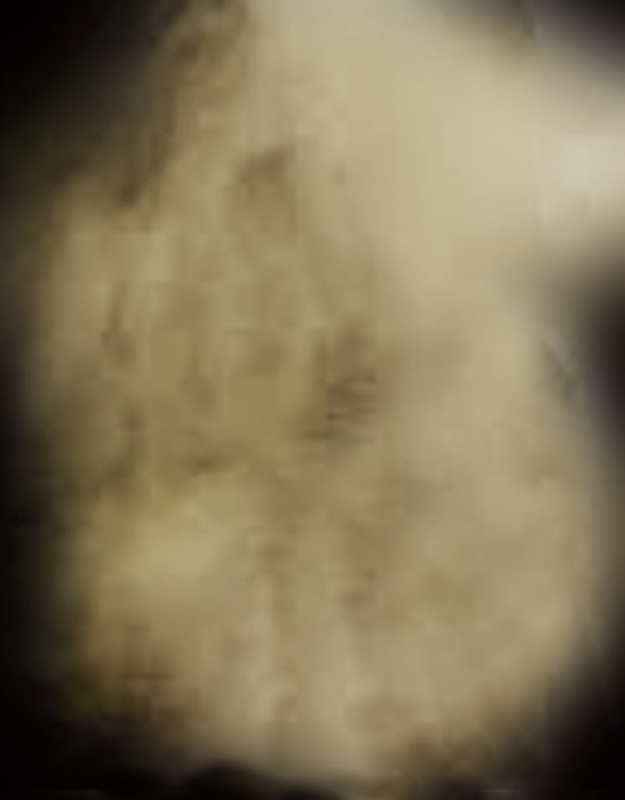 I have first hand seen a more misty, opaque form where I was told I had portals in my house. More about this experience in a later blog. *A portal is thought to be a hole or window in the energy fields that surround the spiritual realms/dimensions. Energy beings such as spirits can slip through these openings into the physical plane. *Negative spirits frequently come through portals. This is believed to happen because the astral layer closest to the physical plane is an area where negative energy and entities reside. When a window opens up therefore, it’s more likely for negative energy to pass through first. *Most portals are believed to be a two way pathway for both entering and leaving the physical level. *Very high levels of paranormal activity are claimed to be found near portals. *Many believe that portals are found all over the world and there may even be certain hot spots. 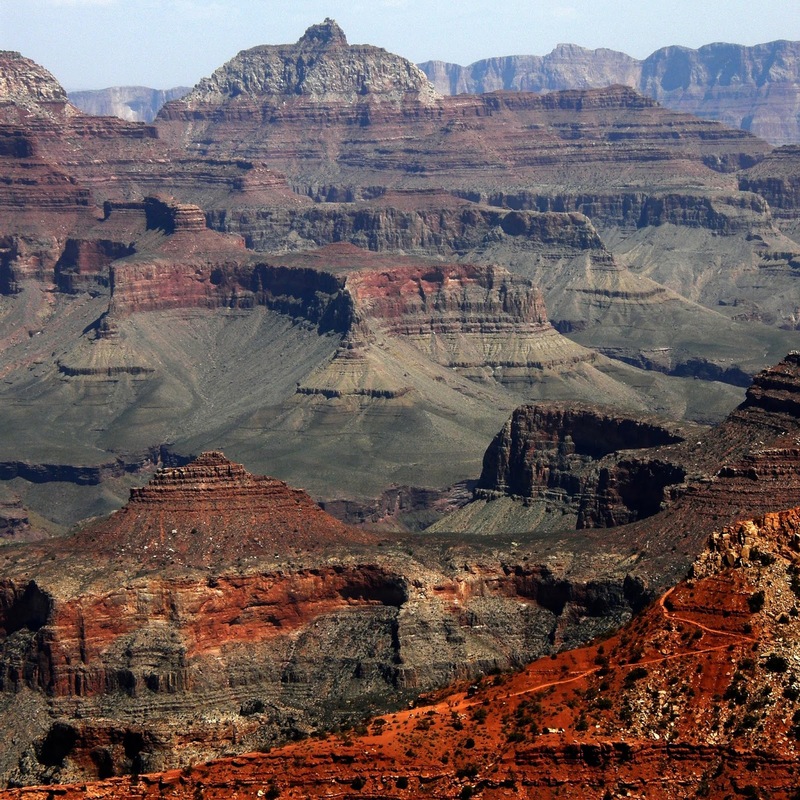 Examples: Grand Canyon- Arizona, the Great Pyramid- Egypt and Delphi- Greece. *Many believe that not only spiritual beings can use portals, but also beings/aliens from other dimensions. 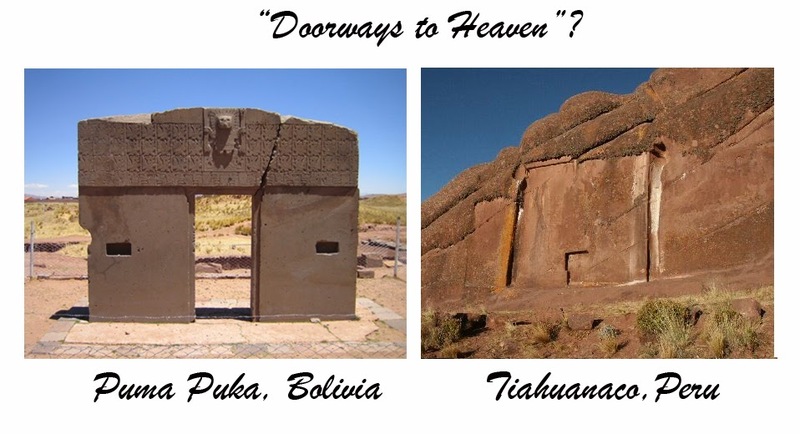 There are places in Bolivia where the remains of a built archway and Peru where a carved doorway into the Incas mountains that are still worshiped by their shamans as "Doorways to Heaven". Their oral traditions, similar to the Mayans, Aztecs, and our own Navajo and Hopi tribes in the American Southwest, tell of "sky beings" as their honored brothers who taught them advancements in building, astronomy and medicine. It is thought that there are special, but very rare, portals that are completely positive. 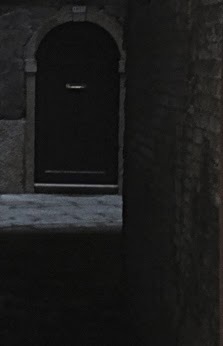 No lower astral or dimensional beings can enter these unless they are spiritually advanced.Some psychics and those who are developing their spirituality, claim that not only can they sense portals, but they can also close and open them up.It is thought by many that portals and vortex are the same thing. However many psychics and investigators believe they are different. That a vortex is simply a pure band of energy, neither negative nor positive and is not a doorway. It can however, be used for meditation and other spiritual work. It has been claimed that portals have been captured on film, usually photographs, but not all psychics and paranormal investigators believe that portals exist. Perhaps the ancient peoples of past cultures knew things that we can only imagine. In legends, there is often some truth to be discovered.